That was my uncle’s response when I told him about a new niche of sites that help service businesses — contractors specifically — find more customers through display advertising. My uncle runs a successful heating and air conditioning business (“hvac” is the industry term) in rural Wisconsin. They do good business and find most customers through billboards, the yellow pages and word of mouth. He has a website for his business and “gets” the internet. However, like many contractors he doesn’t know (or care) about how he can use “the world wide web” to grow his business. While my uncle might not be 100% convinced that the internet is for him, there are many contractors who currently “buy customers” from online businesses who specialize in finding leads specifically for contractors. One of these businesses is “Craftjack”, which recently sold for a couple million dollars, so believe me when I tell you that these companies are doing very well. Plus, this business model works very well on display and is relatively easy to set-up. Keep reading and discover why it works, plus the ins and outs of the sales funnel of one of the top contractor lead gen companies. A lot of online marketers shun doing business with “traditional” companies for a variety of reasons. Even as machines put more and more people out of work, there is one thing that remains true: Things are going to break and the best way to repair something that’s broken is STILL with human hands. If you own a house or apartment then you know that there will always be things that need to be fixed, improvements to be made and pests to be exterminated. You also know that these jobs can cost a TON of money, sometimes tens of thousands of dollars. Contractors who specialize in the right jobs and have a good sales process make TONS of money. Not to mention that once someone finds a contractor they like, they almost always recommend them to a friend or use them for future jobs. The lifetime value of a customer for a contractor can be huge. However, most contractors don’t want to be salesmen. They’d prefer to spend their time doing work than out there hustling up leads. 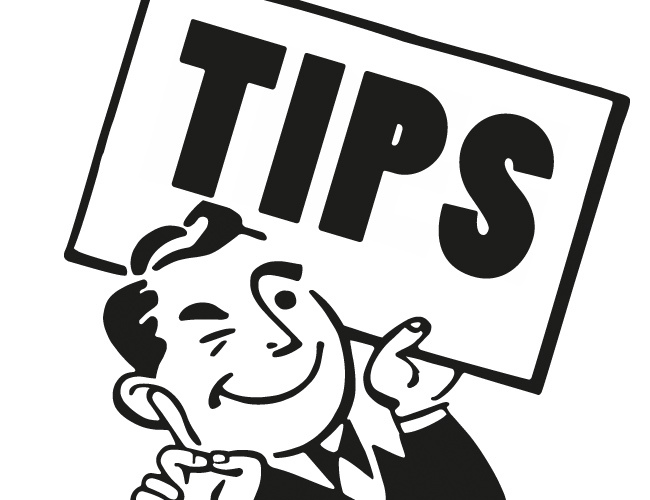 If you go to a landscaper with a list of leads and say “Hey, I have a list of people who are interested in a large scale (and expensive) landscaping job. Would you like to talk to them?”, the sale becomes quite easy. A contractor paying a couple hundred dollars for a lead is nothing compared to the amount of money that they’ll make and time they’ll save by not having to worry about finding more customers. A company (we’ll use Craftjack as an example) acts as a bridge between the customer and the contractor. Craftjack finds and pre-qualifies a bunch of leads for a certain type of job (like pool installation) and “matches” the leads up with local pool installers. It’s a win-win situation for everyone — contractors get more business, customers get their pools installed and Craftjack makes money by sell the leads to contractors. You can use whatever expertise you have in finding leads, but one of the best ways is through display advertising. One company that is killing it on display in this niche is HomeAdvisor. And judging from the data we’ve seen in Adbeat… they’re very good at what they do. They’ve spent close to $800,000 on display in the past 90 days alone. No one spends that type of money if they’re not seeing success. So, if you still think serving “brick and mortar” businesses is a fool’s game, read on. Because we’re going to break HomeAdvisor’s funnel down, piece by piece, figure out why it works and how you can apply the same principles in your own business, even if you’re not running a lead gen business. Problem: Home improvement is a HUGE market that encompasses tons of different projects. Pest control, pool installation, window repair, yada, yada, yada. Yet, like anything else, you can assume that there is an 80/20 behind which jobs are most requested and most profitable for contractors. One way to uncover what these are is to look at which specific ads an advertiser spends the most money on. My instinct is that these are the jobs that a) have the highest demand and b) very profitable for HomeAdvisor and their partners. This data is super valuable if you’re a competitor or are just entering the market. You now have a good idea of which specific jobs will bring in the most leads + profit. You no longer have to waste time & money testing out different niches — your competitors have already done the work for you. 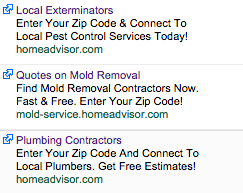 Side note: Notice that HomeAdvisor uses Google text ads, not pretty banner ads. We’ll get to why they’re doing this in a second. Trust me — there’s a method to the madness. Next step? Let’s take a look at where they buy their traffic. You can assume that a publisher provides large amounts of high-quality traffic when you see a competitor spending a lot of money with them. So, where does HomeAdvisor buy most of their traffic? Again, if you’re a competitor (or looking to get into this market) you now have a very good idea which types of sites work well. If I was getting into this market, I would start by testing ads on sites in these three categories as HomeAdvisor has already proven that they work. Now, remember that HomeAdvisor is using mostly text ads, NOT banner ads? Well, let’s take a look at a specific page on one of their most successful publishers, CitySearch.com, a directory site. The paid text ads blend in with the organic content. A less sophisticated user is not going to notice (or care) as long as they get what they’re looking for when they click. Often times you want your banners/ads to stand out to attract attention away from site content, but in this case having ads that blend in is working very well for HomeAdvisor. Next, let’s take a look at what happens when the user clicks the ad. 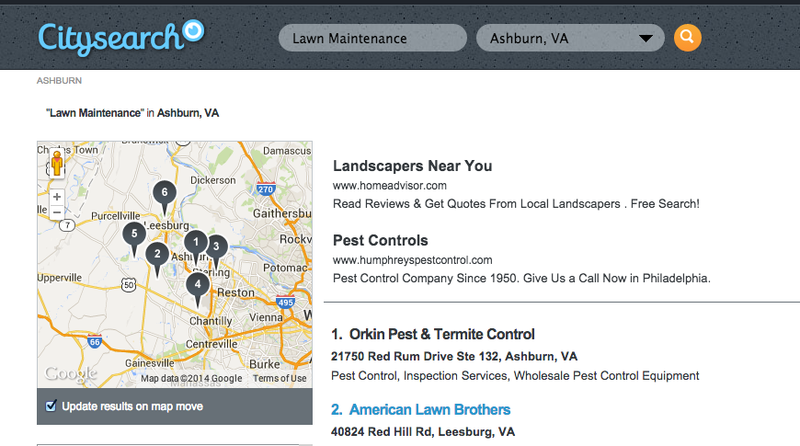 HomeAdvisor uses a very simple lead-gen form. There’s nothing fancy about it and there is little text. They don’t need to provide a lot of explanation or social proof because they’re acting almost like a search engine. There is no money exchanged on the site, meaning the customer is not going to feel hesitant about giving up their info. Also, notice that there are several steps before they ask for your personal information. This helps with conversion rates because someone has already shown some sort of commitment once they’ve gotten to this point. It doesn’t make sense for them to NOT perform one last step, which is entering their personal info. Demand – Contractors want more leads but the majority have zero online presence. There is a definite demand for this. High margins – There are no physical costs. You pay for advertising, acquire a lead and then sell the information to a contractor. Simple. Easy to setup and test – Sites like Craftjack and HomeAdvisor have great looking, complex systems that probably cost a lot of money to develop. However, when you break them down there are really only two components: a landing page and a contact form. You can make a “test” website with a premium WordPress theme combined with a WordPress contact form plugin like Gravity Forms. It’s not the ideal solution, but it would get you started. Little customer service. You’re just the matchmaker here. You don’t do the job, you don’t ship a product and you don’t have to deal with angry customers. 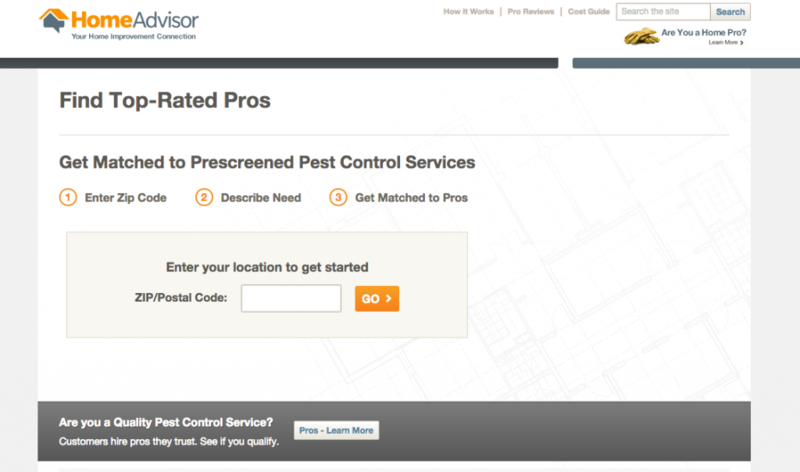 You just match customers and contractors. Finding partners – The hardest part of this whole undertaking is finding partners. You’ll need a good sales team to call or visit contractors in person. This can be a HUGE undertaking, especially since you’ll eventually need to cover large geographic areas if you want to scale. Dealing with the doubters – You’ll need a very strong sales pitch. Contractors tend to not be internet savvy and many will not see the value in your service, understand how it works or understand how it’s in their benefit to essentially pay you for customers. It can be a tough sell. If I was going to start a new business today that I know works on display… THIS is what I would get into. The profit potential is staggering, there’s little competition (at the moment) and it’s easy to get working on display. Nice Share Mike – looking forward to this series. That was very helpful Mike. Thank you! I like how you drilled down all the way to the page running the advertising. I look forward to more of your posts. Awesome post Mike. Not sure if people realize how valuable the info you just shared is but I do. 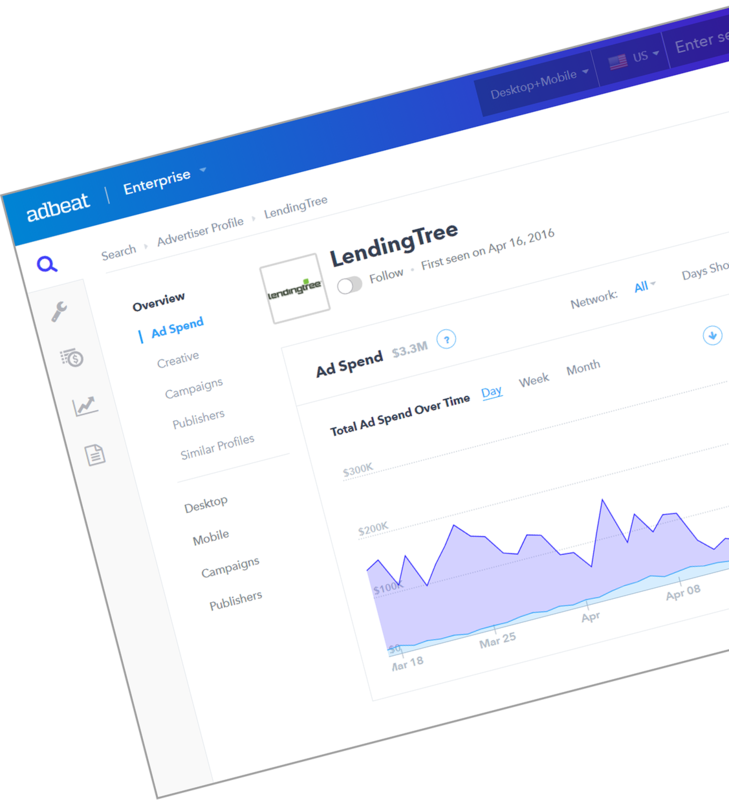 It’s invaluable to see how you use adbeat and do your competitive intelligence, as well as your thought process in analyzing different niches and opportunities. We do a lot of google display in the education space here in Canada, and we use these lead gen companies to supplement our leads. It’s BIG business for sure. Great stuff, Mike. I’d love to see more of these types of posts. Thanks, Brian! We’ve got a whole bunch more posts just like this one coming up, so stay tuned. Awesome information!! I think Craftsman has an online Contractor Recruiting Campaign.. maybe you should do a 2nd part to see what ads they use to get contractors to sign up to their site to get leads. Great idea, Rocio. There’s a lot more that can be said about this business model, so we’ll definitely do a follow-up post where we go into more detail. Thanks for your comment! Since you’ve covered LeadGen — perhaps a Marketplace should be next? Thanks for your comment Amul! A post on marketplaces would be quite interesting. Stay tuned — we’ll see what we can come up with. You ended with the “con” that it’s a tough sale. Since a great sales pitch is really the only chance a company like this would have, do you have any ideas for a really great sales pitch?